5' 3" wide x 7' 6" long. 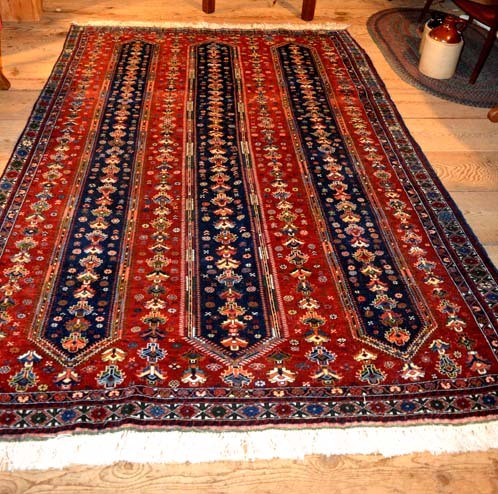 This is a high quality Oriental Carpet with a lovely design. This design incorporates many colors, with burgundy being the background color. 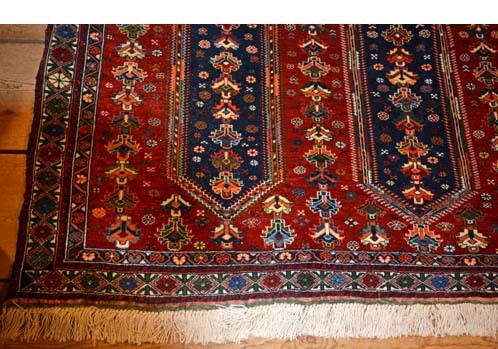 The rug also includes a touch of orange and white, and two different shades of blue. There is fringe at both ends and multi colored borders. 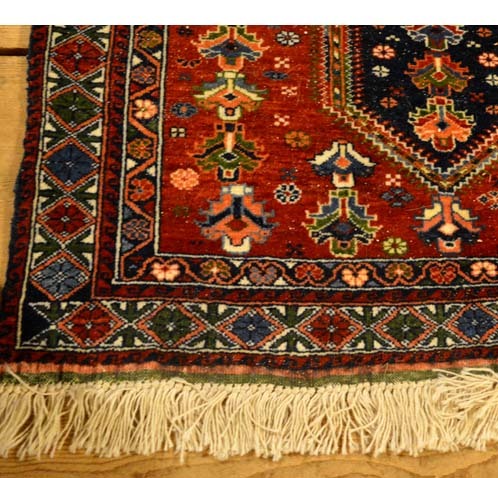 The design is very structured, and the rug was probably made in a Middle Eastern country. 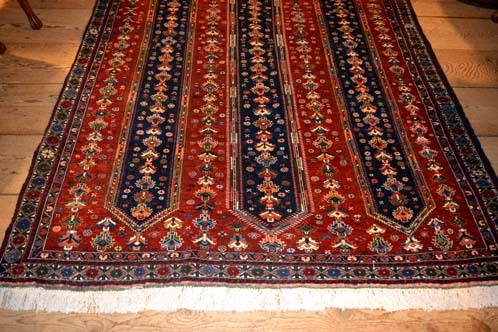 The colors are rich looking and a room could be designed around this carpet. It is now on display at BARN ON 26 ANTIQUES in GRAY, MAINE.